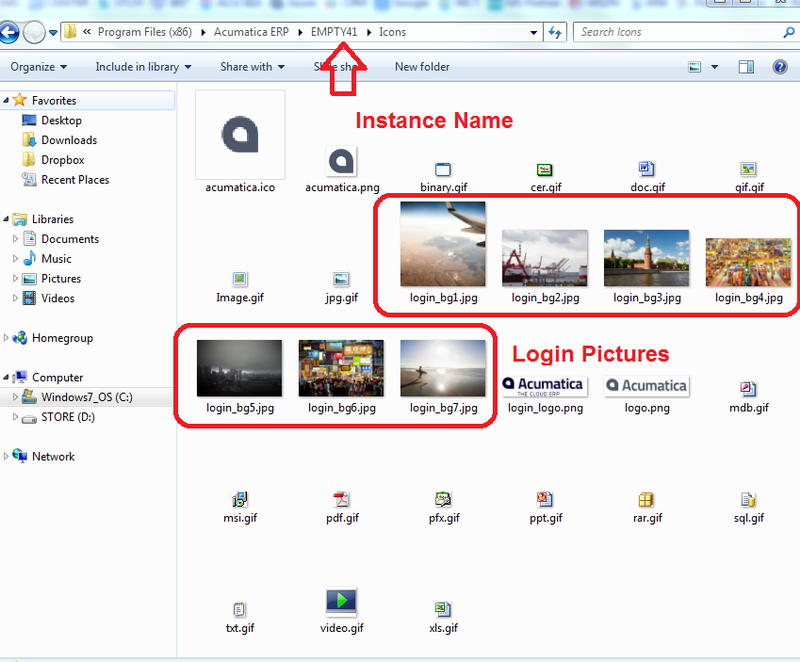 Acumatica Singapore: Changing Login Picture. Mike inspired me today with a good idea for a blog. 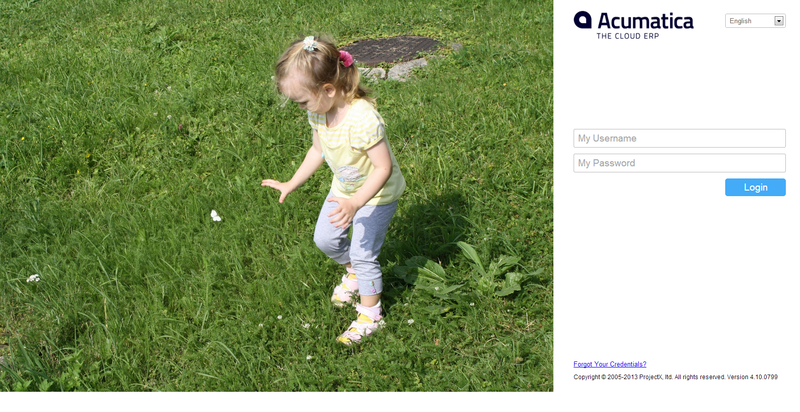 At the last day of summer, I would like to re-brand Acumatica Cloud ERP login picture. You already know that with version 4.1 login frame auto refreshes every time. The only problem is, every time we upgrade Acumatica, system will overwrite these pictures, so for the time being, have to copy them over from backup location. In the future we will make them stay. I would suggest to add those files to the customization project. 2. Modify files.list file by removing all links to the Icons\login_bg* files so the customization manager will able to watch hose files been changed. 3. Add File from File System for your custom project. I can help you with the replacement if this is not a self-managed instance, just send me a picture and URL of the instance.